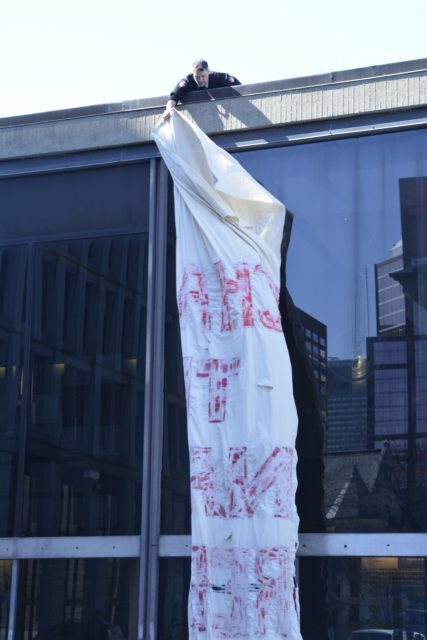 Just before 2 PM on Wednesday, March 27, a banner was dropped from the roof of Leacock above the corridor connecting to Arts. 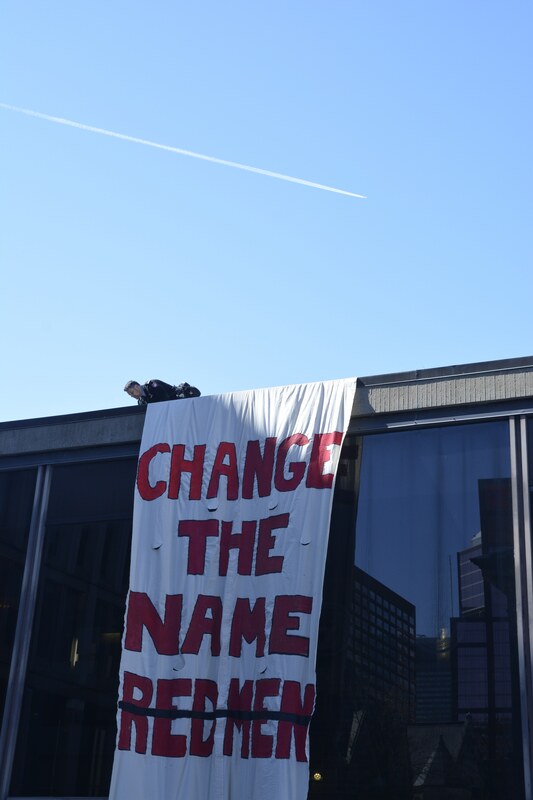 The banner read “CHANGE THE NAME.” Within five minutes, two McGill security officers appeared and began the process of removing the banner. By 2:05, the banner was taken down and confiscated by security. 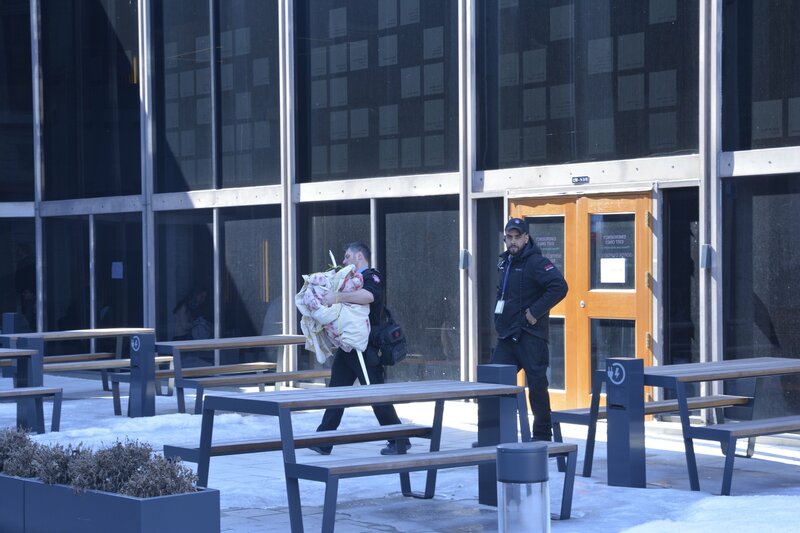 Security placed the banner into a campus security vehicle and drove away. Approximately 30 students were present to witness the unrolling and quick removal of the banner. The demonstration, though anonymous, coincided with the voting period on the proposed Athletics Facility Improvement Fee. SSMU Indigenous Affairs, along with several other student groups endorsed a ‘no’ vote on the fee. For those opposed to the fee, voting yes means supporting an institution that remains hostile towards Indigenous students. Action has yet to be taken by the administration regarding the #changethename movement despite repeated voicing of Indigenous students’ concerns and majority student support. Certain students present also argued that the university’s inaction on the R*dmen name change is a testament to their refusal to support and listen to the needs of Indigenous students. It is unknown who organized or displayed the banner, but the message to witnesses was clear. To them, removing the banner was a continuation of silencing of the voices fighting to change the racist name.